In August 2016 we collected drone images over the forest estate Remningstorp. 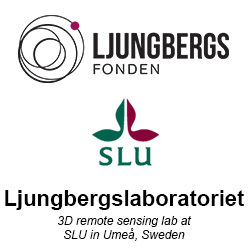 This data collection was funded by “Stiftelsen för skogsvetenskaplig forskning” at the Swedish University of Agricultural Sciences. Below you find an overview of the flown areas. If you are interested to use one of the flight blocks, please contact Mattias Nyström. This data is free to use, but we might charge you a delivery cost depending on the amount of data. We have made block25 available for direct download. This block was automatically post-processed using Agisoft Photoscan. The data is in SWEREF99TM RH2000, but is not georeferenced using ground control points. There has neither been any manual work done after the automatic batch processing. If you want to use the data for more than viewing and understanding, please contact us to receive the original photos and you may process the data yourself. False color ortho photo automatically created from Sequoia photos taken over block25 in Remningstorp. Download the dataset form this link. 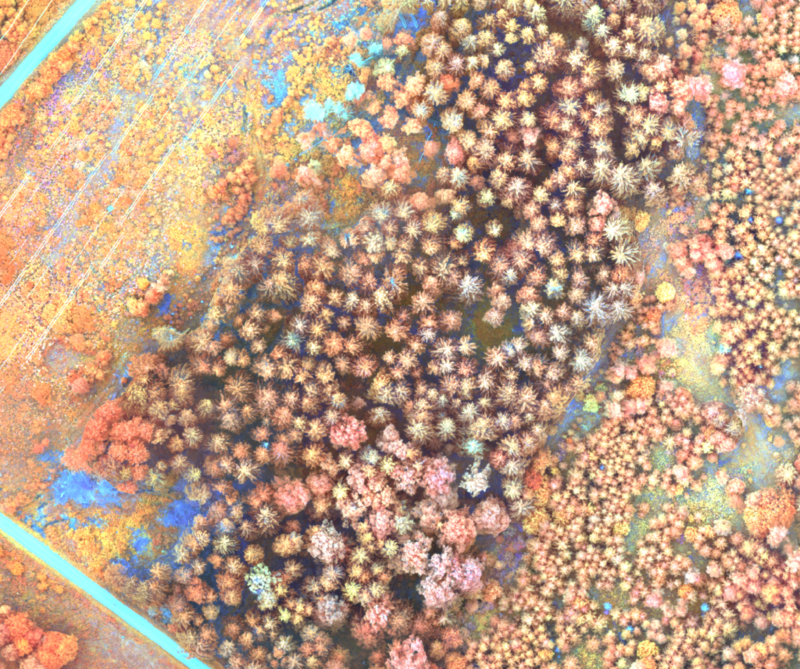 These blocks were collected with the multispectral camera Parrot Sequoia (pixel size 12 cm). Download the map as pdf or as geo-tif. 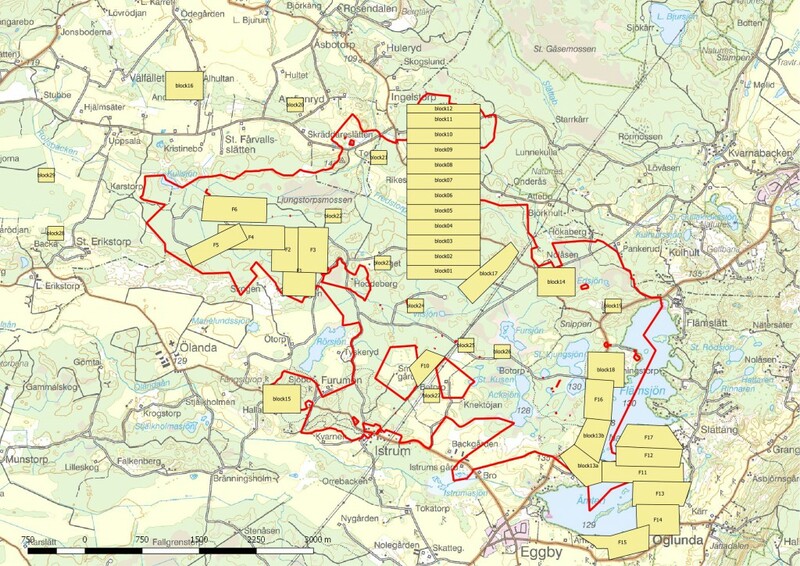 The red border is the extent of the Remningstorp forest estate. © Lantmäteriet, i2014/764. These blocks were collected with the RGB-camera Sony a5100 with a 20mm lens (pixel size 3 cm). Download the map as pdf or as geo-tif. 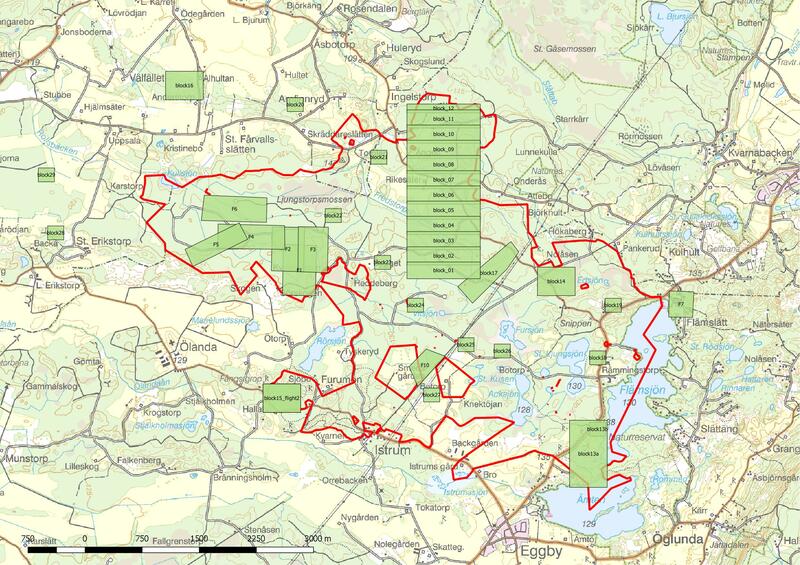 The red border is the extent of the Remningstorp forest estate. © Lantmäteriet, i2014/764.